Who doesn't love a great mystery? This book presents the eerie accidents and unexplained disappearances that have occurred in the region known as the Bermuda Triangle. Even before it was named, the Bermuda Triangle--roughly bounded by Miami, Bermuda, and Puerto Rico--had gained a mythic reputation. 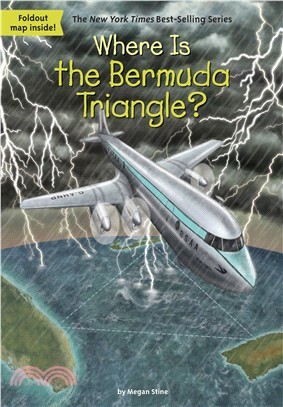 The Bermuda Triangle became famous for making boats and ships vanish, and for snatching planes right out of the sky. But are these stories true? And if they are true, is there a more sensible reason that refutes the bad karma of the region? With so many mystifying events to learn about, readers will love disappearing into this story. Megan Stine has written several books for young readers, including Where Is the White House?, Who Was Marie Curie?, Who Was Ulysses S. Grant?, Who Is Michelle Obama?, and Where Is Machu Picchu? She lives in Clinton, Connecticut.